What better way to say "Credible Offer" than to use two of the world's most powerful brands,Visa and Discover. 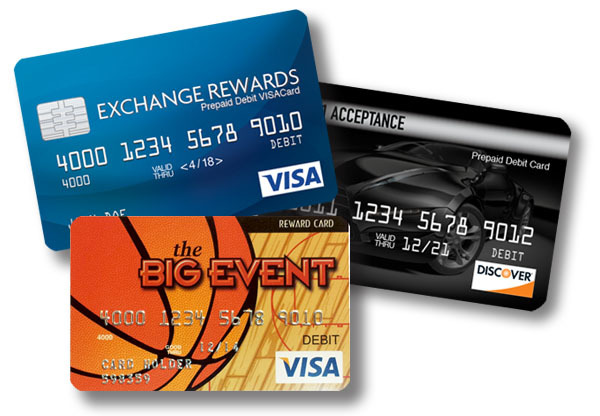 We can provide you Virtual Visa cards for mass promotional mailers, produce real "faux" plastic debit cards with a set dollar amount (like $5) for distribution and redemption by your prospects. You can use our approved designs or, with enough volume, we can make a custom card just for you. Anything is possible now with our authorized relationship with Visa and Discover. We can brainstorm ideas and together have a real impact on your promotional response rate. Don't be fooled by others who "say" they have permission to use the VISA and Discover brand. We have the offical documentation to prove it. Do They? Working through ASI, your Visa or Discover branded mailer will have added credibility and, more importantly, it's proven to deliver higher readership and better response rates. We can provide you a turn key solution, or work with your marketing or printing partners to deliver everything you need to execute a high quality and effective marketing piece to your prospects.